Celebrities contesting elections is nothing new and Bollywood beauties generally prefer either Congress or BJP. Of late many celebrities are lining up for BJP and BJP leadership is proactively wooing Bollywood stars to contest elections on their party ticket in 2019. Speculations are rife that Prime Minister Narendra Modi is planning to use the charisma and stardom of yesteryear dream girl Madhuri Dixit in the 2019 electons. As per the buzz Madhuri will be contesting 2019 elections on BJP ticket from Pune constituency. It is known that BJP president Amit Shah met Madhuri Dixit this year in June during Sampark for Samarthan event. 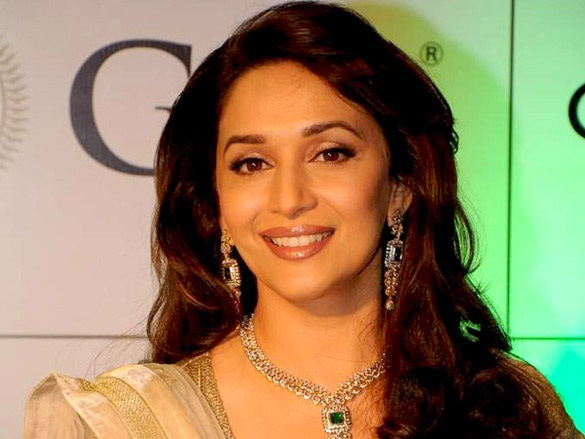 So the national leadership is planning to include Madhuri Dixit in the list of their candidates in the 2019 elections and they feel that Pune Lok sabha constituency is best suited for her. Madhuri stole the hearts of all with her performances in Hum Apke Hai Kaun, Dil To Pagal Hai, Sajan and Devdas. BJP wrested Pune from Congress in 2014 elections when its candidate Anil Sirole won by over 3 lakhs votes majority. Mahesh Prefers Flop Concept & Heroine?